For the Australian rugby union player, see Nick Palmer (rugby union). Nicholas Douglas Palmer (born 5 February 1950, London) is a British politician, translator and computer scientist. He was the Labour Party Member of Parliament (MP) for Broxtowe in Nottinghamshire from 1997 until he lost the seat at the 2010 general election to Conservative Anna Soubry, by 390 votes. Described by Andrew Roth as "quietly effective", he was Parliamentary Private Secretary (PPS) to the Minister of State, Margaret Beckett, in the Department for Environment, Food and Rural Affairs until April 2005. He then became PPS to the Minister of State, Malcolm Wicks, first in the Department of Trade and Industry, and later in the Department for Business, Enterprise and Regulatory Reform until Wicks stood down in October 2008. Palmer's father was a translator/editor and his mother was a language teacher. He is the cousin of Lieutenant-General Anthony Palmer, a former Deputy Chief of the Defence Staff. He attended International Schools in Copenhagen and Vienna. He was awarded an MSc at Copenhagen University and a PhD in Mathematics from Birkbeck College, University of London. He also studied at Massachusetts Institute of Technology (MIT) where he researched artificial intelligence and language translation. He speaks six languages, despite being born with a cleft palate, and has worked as a professional translator of Danish and German for the European Commission and other clients. He was the first person with the cleft palate disability to enter Parliament. As a computer scientist, he developed the COMPACT clinical trials package for the Medical Research Council. Joining the Swiss pharmaceutical firm Ciba-Geigy, he became head of Novartis Internet Service when Ciba-Geigy merged with Sandoz to form Novartis. He designed and developed a computer game about the Battle of Britain, named Their Finest Hour. He has written three books about conflict simulation games and still attends international conventions, winning the Diplomacy championship at the World Boardgaming Championships in 2007, as well as giving a seminar comparing the traits needed to succeed in wargaming to the traits needed to succeed in politics. He co-founded and edited Flagship magazine in 1983, covering the field of play-by-mail games. A keen card player, he has represented the House of Commons at bridge. 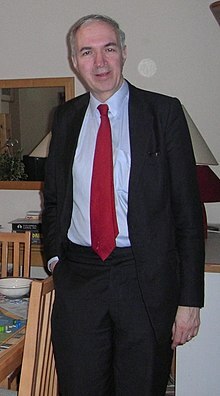 Palmer joined the Labour Party on his twenty-first birthday and was selected as the Labour candidate for the ultra-safe Conservative seat of Chelsea in the 1983 general election. Prior to contesting Broxtowe, he edited and published a magazine to represent the views of ordinary Labour party members – Grass Roots. While an MP, he served on a number of Select Committees including the European Scrutiny Committee, the Northern Ireland Affairs Committee, and the Treasury Committee. and also served as a member of the Justice Committee. Nick Palmer with the then Secretary of State for Transport, Ruth Kelly, launching free bus travel. He suggested TV Licence exemption for over-75s which was then adopted by the government, along with similar measures like free bus passes for the elderly. In April 2000, he introduced a private members bill to presume consent for organ donation, a measure still being considered which could increase transplants by 25%. In January 2002, he introduced a 10-minute rule bill advocating Identity Cards which was adopted by the Government. He subsequently brokered a deal to get the government's version through the Lords. He campaigned for five years for bells to be fitted to all new bicycles in response to a petition from his constituents. A bill was passed making them compulsory from 1 May 2004. He introduced a bill about fine print, requiring a minimum size of print in documents, especially those relating to advertising and contracts. In December 2005, he introduced another 10-minute rule bill intended to ensure speed camera warning signs displayed the limit they enforced. In May 2008, he introduced an amendment to the Human Fertilisation and Embryology Act 1990 requiring that "strictly neutral information" be provided in cases of foetal abnormality. This was based on his parents' experience of the expert advice from pioneering surgeon Archibald McIndoe who successfully reconstructed his cleft palate. He gave speeches in the Commons on animal welfare issues and in December 2009 he was one of 8 cross party supporters of a bill introduced by Nigel Waterson to "make provision for residents of care homes and sheltered accommodation to keep domestic pets in certain circumstances." Based on his experience as a computer software developer, he spoke against the terms of the Digital Economy Bill and joined Tom Watson and Austin Mitchell in leading a Labour rebellion against its third reading. Palmer belonged to an All-Party Parliamentary Group on Animal Welfare, Fund for the Replacement of Animals in Medical Experiments (FRAME) and World Government. He is a member of the East Midlands Labour Group and serves on the Executive of the Labour Friends of Israel. He helped organise the visit of the Dalai Lama to Britain in 2008, organising meetings and a special exhibit of a mandala in the House of Commons. With his secretary, Philipa Coughlan (with sons Nick and Sean) and fellow MP, Liz Blackman, he compiled a book of recipes favoured by MPs. For example, Tony Blair's recipe was for Meatball and Tomato Sauce while speaker Betty Boothroyd preferred Stewed Oxtail. Nick Palmer's own recipe was for Swiss-style potatoes – Berner Roesti. Palmer was one of many new Labour MPs elected in what was a landslide election for Labour in 1997. He held the seat comfortably with an increased majority at the 2001 election, and again with a reduced majority in 2005 election. An opinion piece suggested that part of the reason that Palmer had held his seat was due to his high constituency work rate. In the 2010 election, the seat was lost to the Conservative candidate Anna Soubry, reflecting a national swing. While an MP, he responded to a "very high" percentage of constituents' letters, addressing matters of local concern such as open-cast mining and the development of the local Nottingham tramway and in February 2008 he asked about "proposals to build on virtually the entire green belt" in Broxtowe at Prime Minister's Questions. In June 2008 he asked the Department for Transport about the second phase of the tram/train trials. He campaigned for and organised a bus service to link Kimberley with the Nottingham tram at Phoenix Park. A month after losing his seat in the 2010 general election, Palmer became the first ex-MP to sign on for unemployment benefit. He said this was partly to keep his national insurance contributions continuous and partly to explore for himself what the unemployment services are like. Palmer described the experience as sensitive but said he had received plenty of helpful suggestions and was favourably impressed. In September 2010, he became Director of International and Corporate Affairs for the BUAV. In September 2011 Palmer contributed to the book What next for Labour?. He wrote two pieces, one entitled "Student Fees: A Constructive Response" and the other "Animal Welfare: The Neglected Swing Issue". He is the patron of Cats Protection. In August 2010, pursuing his interest in animal welfare, he joined the British Union for the Abolition of Vivisection as their Director of International and Corporate Relations. He stood again for the Broxtowe seat at the 2015 general election but failed to regain the seat. In September 2016 he intervened in the leadership battle between Jeremy Corbyn and Owen Smith. Palmer described himself as one who considered the 1997–2010 Labour government as 'very successful' but 'blighted by the disaster of Iraq'. He called on members and parliamentarians to give Corbyn a 'decent chance'. Palmer married Fiona Hunter in 2000, having proposed to her on the terrace of the House of Commons. The ceremony took place on his birthday in the ornate 14th century Chapel of St Mary Undercroft. ^ a b c d e Roth, Andrew (1997). New MPs of '97. Parliamentary Profiles. ISBN 0-900582-38-3. ^ Andrew Roth. "Nick Palmer: Electoral history and profile". The Guardian. London: GuardianNewspapers. Retrieved 20 April 2010. ^ a b "Nick Palmer Former Labour MP for Broxtowe". TheyWorkForYou. Retrieved 17 April 2010. ^ "Their Finest Hour" (26). Crash. ^ "Diplomacy 2007 WBC Report". Boardgame Players Association. ^ "WBC 2008 Seminars". Boardgame Players Association. ^ Raymond Keene (14 August 1999). "Party pieces". The Spectator. Archived from the original on 28 December 2006. ^ a b c Philipa Coughlan (1998). Parliamentary Portions. London: Politico's Pub. ISBN 1-902301-06-4. ^ "Select Committee on European Scrutiny First Special Report". Parliament Publications & Records. 18 November 1998. ^ "Northern Ireland Affairs Committee Press Notice No. 1 of Session 2001–02". Parliament Publications & Records. 20 July 2001. Archived from the original on 18 October 2006. ^ "Pre-Budget report: Did the chancellor get it right?". BBC. 28 November 2002. ^ "Justice Committee: Members". Archived from the original on 8 May 2008. Retrieved 13 June 2008. ^ Brian D (23 February 2006). "FOCUS – Nick Palmer". Face Forward. Archived from the original on 2 October 2011. ^ "Acquisition and Possession of Air Weapons (Restriction),House of Commons debates, 21 January 1998". Retrieved 20 April 2010. ^ "The Cats Protection League backs Air Rifle Bill". Cats Protection League. ^ "Select Committee on Home Affairs Second Report". Parliament Publications & Records. 23 June 1999. ^ Smith, Rebecca (14 January 2009). "Presumed consent for organ donation could increase transplants by a quarter". London: Daily Telegraph. Retrieved 20 April 2010. ^ "HC Deb, 23 January 2002, c905". Retrieved 20 April 2010. ^ "Debate". Hansard. 29 March 2006. ^ "Welcome back, bicycle bell". BBC. 29 April 2004. ^ "Debate". Hansard. 26 February 2008. ^ "Road Traffic Signs (Enforcement Cameras)HC Deb, 13 December 2005, c1236". Retrieved 20 April 2010. ^ "New Clause 8 — Amendment of the law relating to abortion". Parliament Publications & Records. 20 May 2008. ^ Jenny Percival (19 May 2008). "Amendment could cut number of late abortions". London: Guardian. ^ "Debate on Hunting with Dogs bill". Hansard. 18 March 2002. ^ "DEFRA questions". Hansard. 31 January 2008. ^ "Nick Palmer". London: The Guardian. Archived from the original on 21 June 2006. Retrieved 13 June 2008. ^ "Care Homes and Sheltered Accommodation (Domestic Pets) Bill, House of Commons debates, 16 December 2009". Retrieved 20 April 2010. ^ "Clause 4 — Obligation to notify subscribers of reported infringements". House of Commons debates. They Work For You. 7 April 2010. ^ "MP hosts special exhibition at Westminster" (PDF). Beeston Express. 23 May 2008. Archived from the original (PDF) on 20 November 2008. ^ Philip Cowley (7 March 2005). "Will envelopes die in vain?". New Statesman. Retrieved 10 March 2015. ^ "General Election 2010: David Cameron in rallying cry to Lib Dems". The Express. 7 May 2010. Retrieved 10 March 2015. ^ "MP Responsiveness League Table". Retrieved 23 May 2008. ^ "Tram webchat – the transcript". BBC. 24 March 2007. ^ "Nick Palmer's – Newsletters". StaplefordWeb. Retrieved 18 May 2008. ^ "HC Debates, 6 February 2008, c955". Retrieved 20 April 2010. ^ "HC Deb, 9 June 2008, c35W". Retrieved 20 April 2010. ^ "£500,000 bus boost for Kimberley". Eastwood & Kimberley Advertiser. ^ Bingham, John (11 June 2010). "Labour's Nick Palmer become first ex-MP to go on the dole". The Daily Telegraph. London. ^ "What did ex-MP Nick Palmer think of Nottingham's Job Centre Plus?". 3 June 2010. Archived from the original on 19 September 2012. Retrieved 8 June 2010. ^ "Bookmakers say Anna Soubry could be one of the high profile election 'casualties'". Nottingham Post. 7 March 2015. Archived from the original on 11 March 2015. Retrieved 10 March 2015. ^ Palmer, Nick. "We are too ready to call each other Blairites or Corbynites – let's remember what made us Labour". Retrieved 6 September 2016. ^ "Candidate Nick Palmer". BBC. Retrieved 11 June 2008. ^ "MP weds at the House". Nottingham Evening Post. 7 February 2000. Wikimedia Commons has media related to Nick Palmer. This page was last edited on 18 April 2019, at 18:36 (UTC).